Portrait bust of male figure. There are inscriptions on the sculpture, although none on the base. 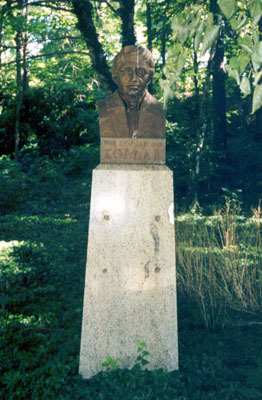 Kollar was a Slovakian minister and poet. : Frank L. Jirouch, “Jan Kollar,” Ohio Outdoor Sculpture Inventory, accessed April 20, 2019, http://oosi.sculpturecenter.org/items/show/1000.